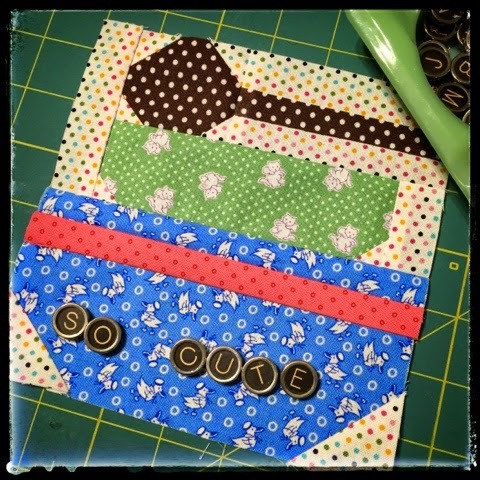 I made a few extra Canning Season blocks as I'm decorating for a luncheon next week and using a canning theme. 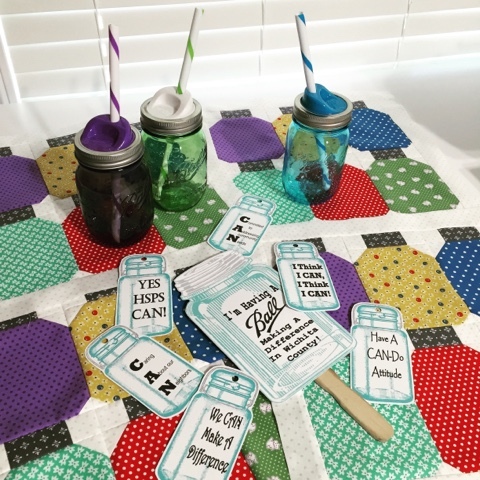 Just love these Ball canning jars with straws in purple, green and blue. Don't they look awesome with my canning season blocks? Can't wait to share pics next week of the luncheon table. 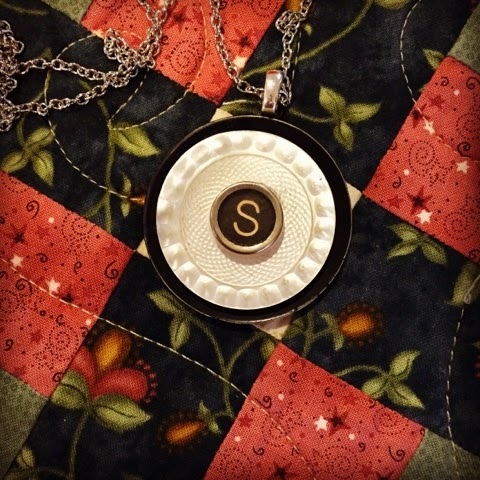 I also found a little time to make a new button necklace featuring one of my typewriter keys. So happy with the way it turned out! Now to find more buttons that work with the keys. 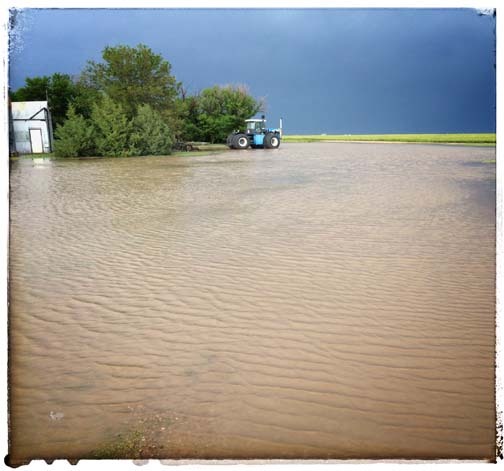 It's been a very wet May here on the farm, like most of the plains states. We're pushing 9" for May (average annual rainfall is 17"). The ground is saturated so when we get a downpour like last night, the water just stands. Makes for an adventure every time you drive down the ole country dirt roads! 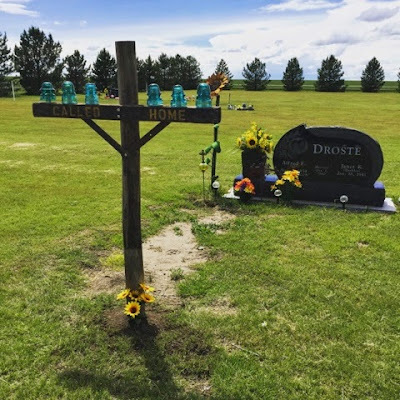 Such is the life of a farmer, and a farmer's wife. As they say, rain makes grain, and we're very thankful for the rain. It's week 3 of the Farm Girl Vintage Sew Along by Bee In My Bonnet & another couple of cute blocks! 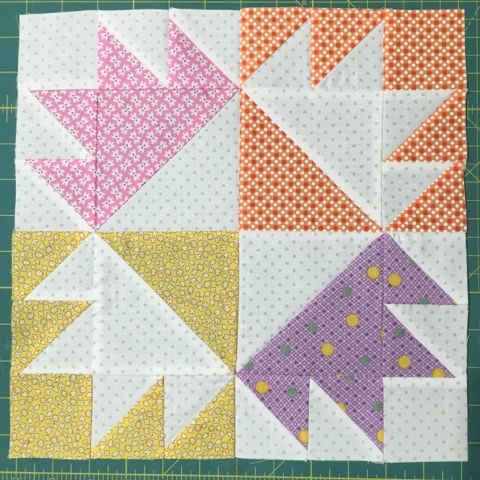 First one up is the Baking Day block. 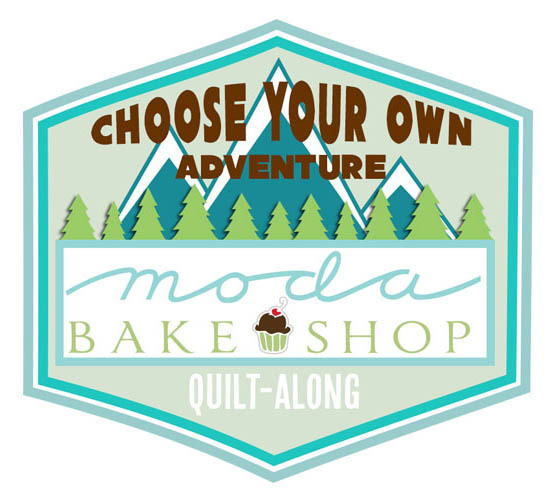 This was the perfect block for this week as it was cold & rainy here in Western Kansas (and most of the country, I think) & I love to bake when the weather is like that. 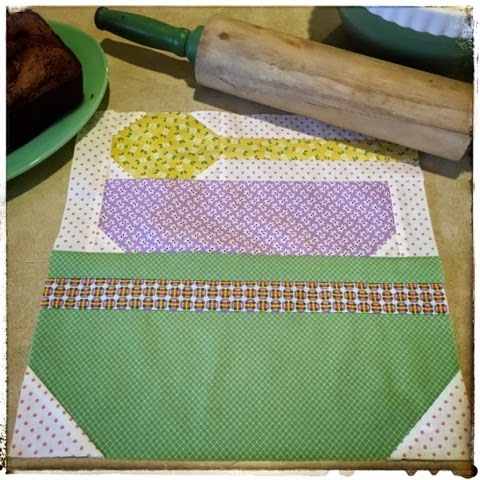 I love my Baking Day block, it looks so good with my green dishes and kitchen utensils! 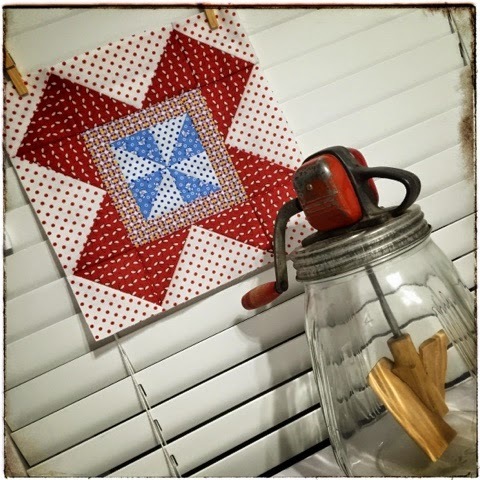 The Butter Churn block brought memories of my grandma making butter in her old hand crank butter churn. I remember when I was in grade school, she loaned me her butter churn so that my class could make butter when we were studying about our pioneering forefathers for Kansas Day. Here's my Butter Churn block with my grandma's churn. Love it! 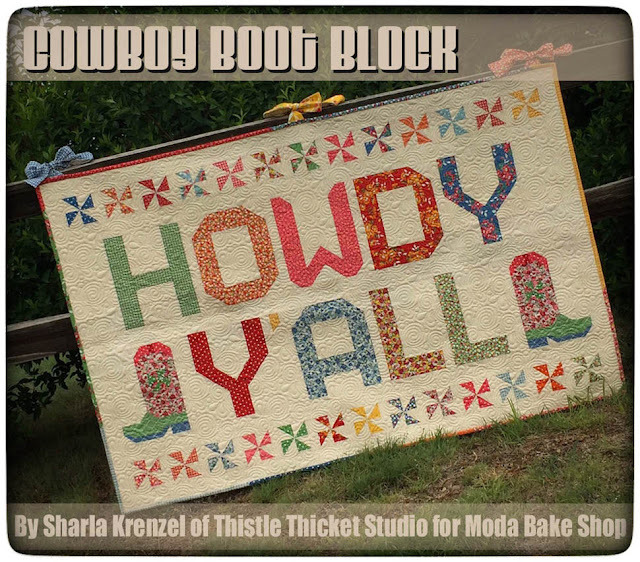 I loved making the Baking Day block so much that I decided to make another one, only in the 6" size. 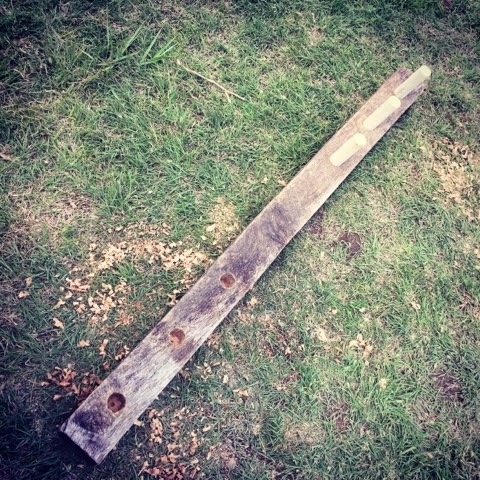 Stay tuned to see what I make with this block! Tomorrow is Farm Girl Friday which means that Lori Holt will post the next two blocks in the Farm Girl Vintage Sew Along - can't wait! Want to join me? It's not too late. Check out all the details on Lori's blog here. And the Fat Quarter Shop makes it easy to get all the supplies - Lori's Farm Girl Vintage book and Lori's special fabric bundle she assembled for the sew along. Come back soon & see what else I'm working on! I love to bake when it's rainy out! We haven't had a lot of rainy days in recent years, so these rainy days are so appreciated. 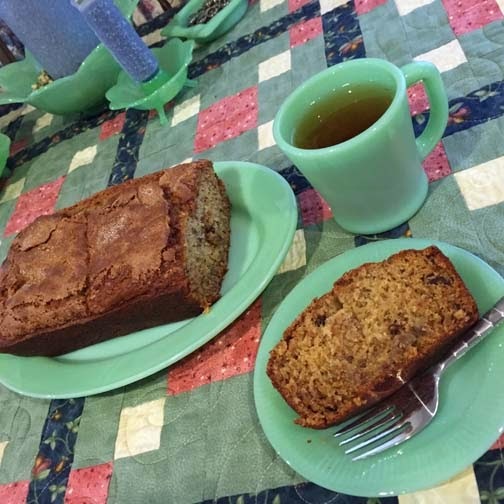 So, with a bunch of bananas that were way past eating prime for me (I like my bananas almost green), I decided to make my favorite Banana Nut Bread. It's yummy and moist, and so good warmed with butter on it. Preheat oven to 350 degrees F. Grease four 7x3 inch loaf pans. 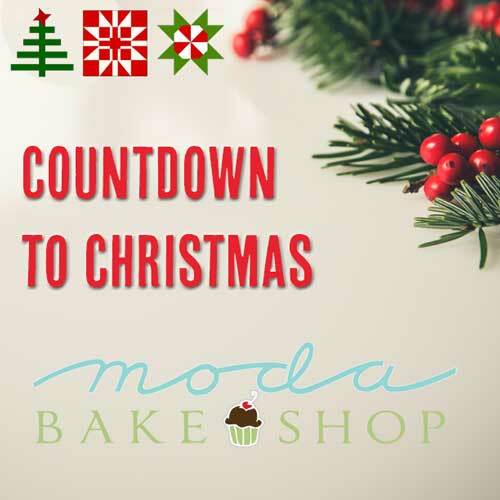 In a small bowl, stir together 1/4 cup white sugar and 1 teaspoon cinnamon. Dust pans lightly with cinnamon and sugar mixture. Bake for 1 hour until toothpick inserted in center comes out clean. I didn't have any sour cream or walnuts and living on a farm in the country means you make due with what you have (especially when its raining because you don't want to tear up the muddy roads). So, I substituted strawberry yogurt for the sour cream and pecans for the walnuts. Mmmmmm, it turned out even yummier! While the bread was baking, I put chicken tortilla soup in the crock pot for supper. 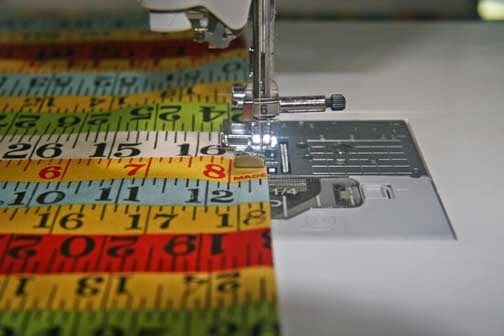 Now I have the whole afternoon to sew.....after I do the dishes! 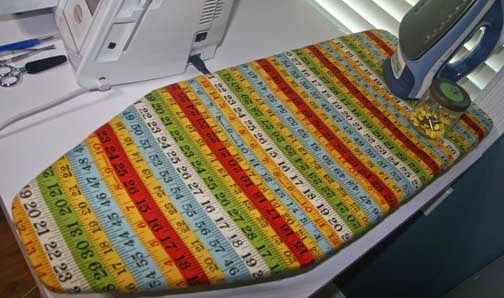 I have a table top ironing board next to my sewing machine on my sewing table. It has needed a facelift for quite some time and today I finally took a couple of hours to make a new cover. 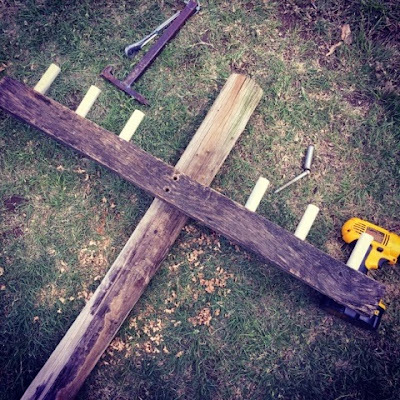 It's was really simple to make. 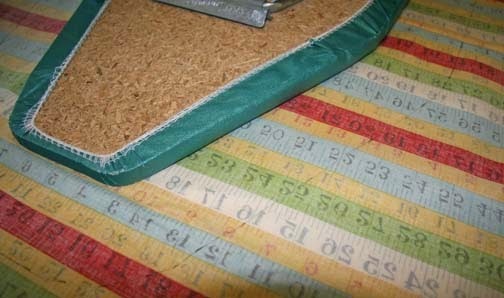 Start with your cover fabric and a lining fabric at least 4" larger all the way around than your ironing board top. With right sides together, lay your fabric on a table and place your ironing board on top of the fabric face down. 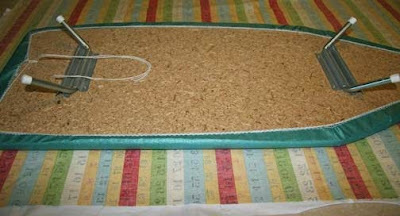 Make marks 2 1/2" around the perimeter of the ironing board top (4" if you are making a cover for a regular size ironing board). Draw a line connecting the marks. 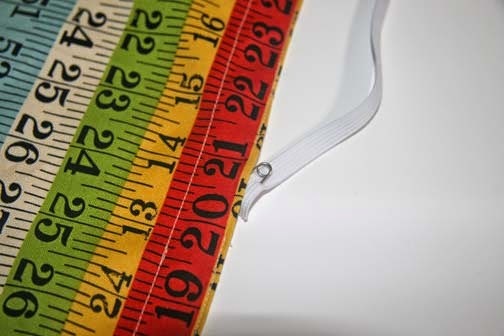 Cut on the line through both layers of fabric. Pin the layers together. Sew 1/4" around the perimeter of the fabric, leaving a 3" opening to turn the fabric. At the opening, turn the edge up 1/4" and press. Repeat for the fabric on the other side. Turn inside out and press the seam. Stitch around the edge close to the seam using a zipper foot, leaving opening unsewn to insert the elastic. Stitch completely around a second time 3/4" from the edge to create a casing for the elastic. 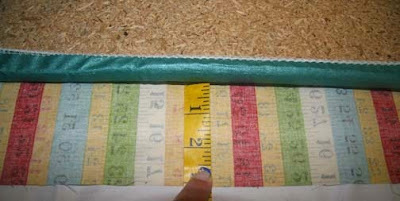 Insert 1/4" elastic into the casing. Pin the ends together, then fit the cover over the ironing board. 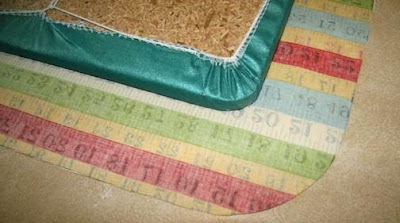 Adjust the amount of elastic to provide a snug fit but still remain easy to remove the cover. 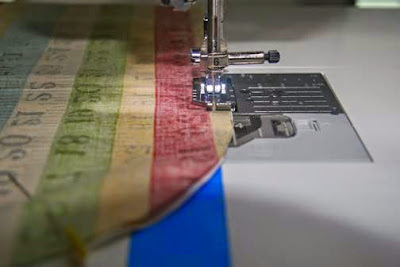 Sew the elastic ends together. Sew the opening closed. And there you have a simple ironing board cover. Way prettier than what was on it before! 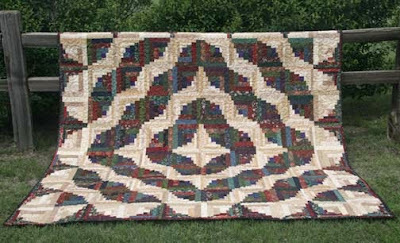 After many months, I finally finished the scrappy curvy log cabin quilt I started last year for my quilt guild's Log Cabin Challenge. 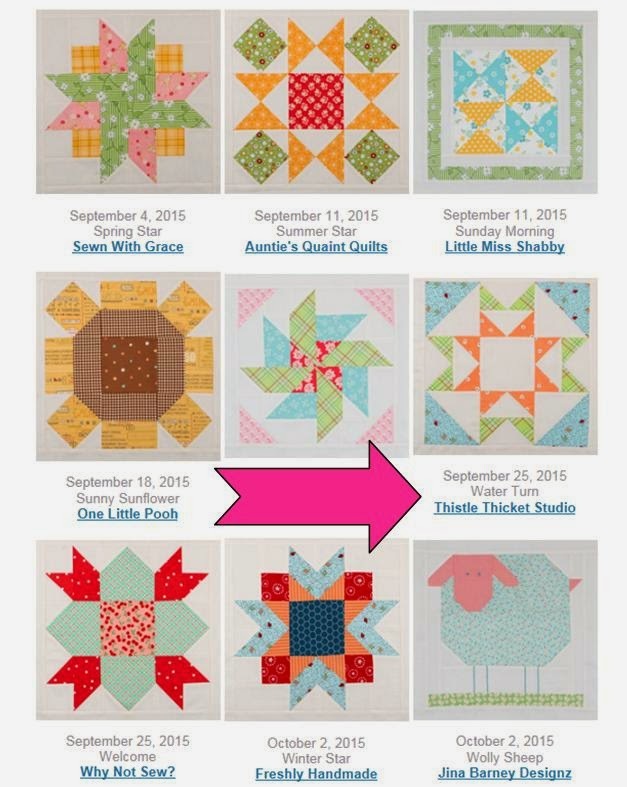 What a fun quilt to make! I could hardly part with it but decided to give it to my niece as a wedding gift. 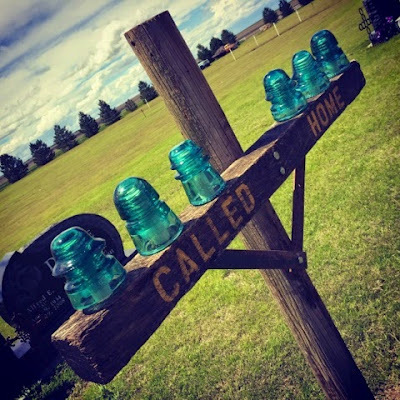 I hope she & her new husband love it as much as I loved making it! I love the versatility of the log cabin block and the many different layouts you can create with it. I'm definitely going to make another one of these again - and that's saying a lot because I hate repetition.﻿ I shared this pattern a while back so if you'd like to make one too, the pattern is here. 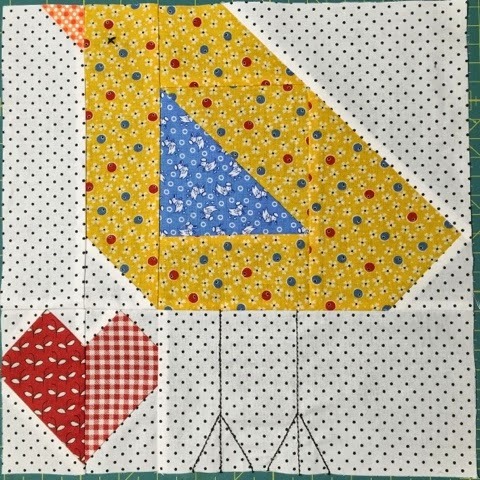 To make it extra special, I made a heart-shaped log cabin label for the back of the quilt. Don't you just love it?! 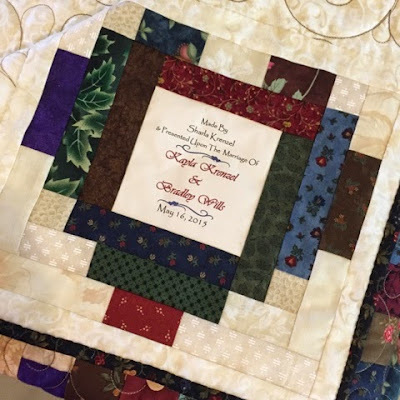 What could be a better gift for newlyweds than a cozy quilt to snuggle under together? Yay! 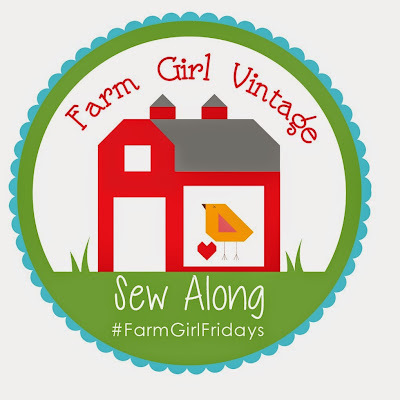 I finished week 2 blocks for the Farm Girl Vintage Sew Along before the next Farm Girl Friday! This Baby Chick block was sew fun to make and isn't it sew cute?! Makes me wish we had chickens running around our farm - well, not really, but I would love to have some cute little chicks like this one. 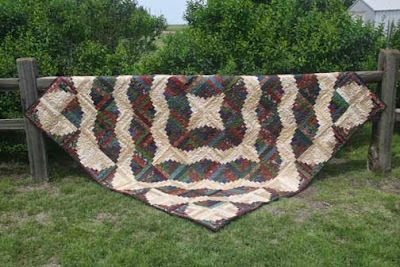 Maybe on a barn quilt! The other block is an Autumn Star block although mine doesn't look like fall - I'm not really a fall colors kind of gal. 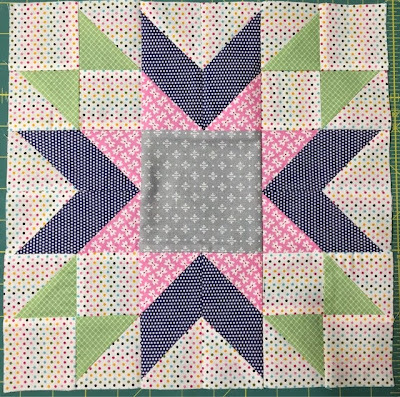 Love the pink, navy and gray in this block with my favorite color of green. 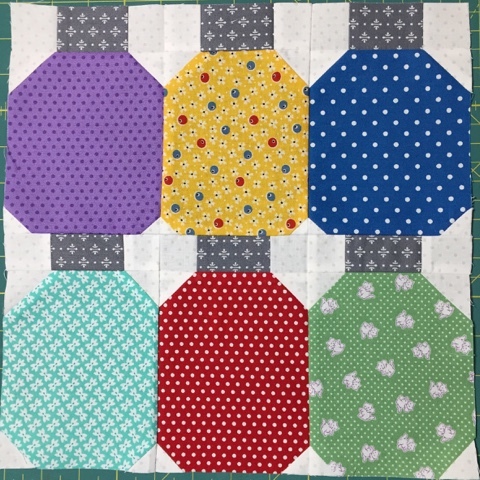 All of the blocks will have a polka dot background and hoping I can find several different colors to use. 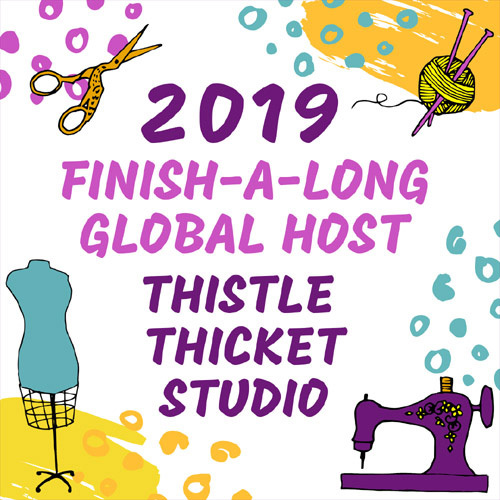 Yay, another excuse to go fabric shopping! 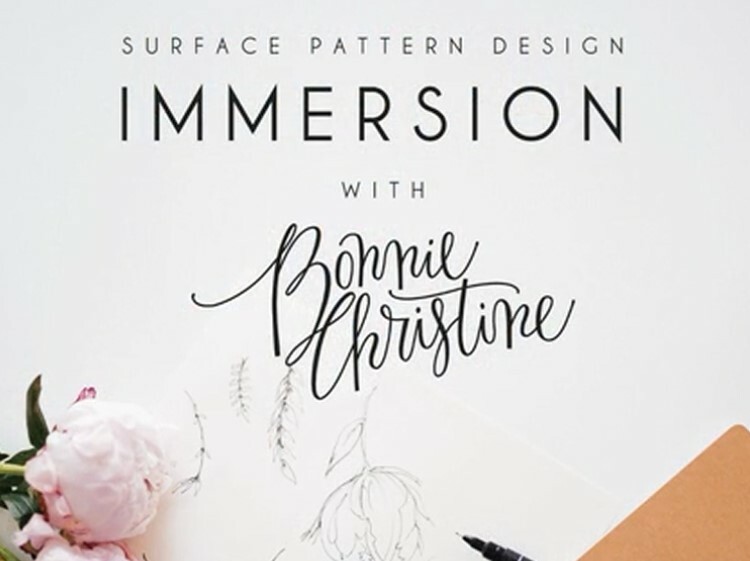 It's not too late to join the fun, check it out at a Bee In My Bonnet. Another Yay! The Fat Quarter Shop corrected my name on the blogger schedule for the Farm Girl Vintage Sew Along! 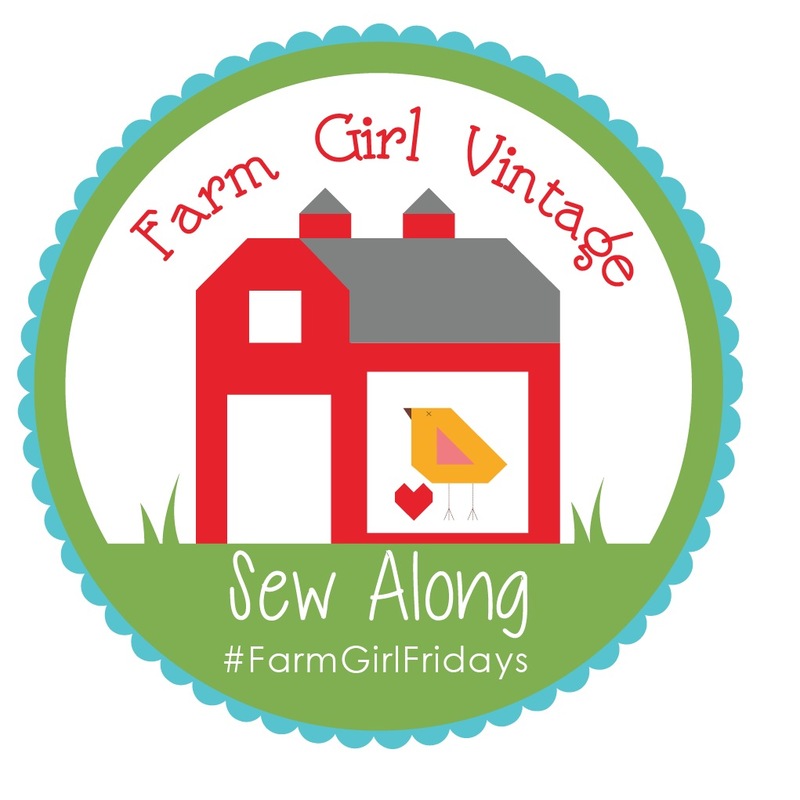 May 1st came and went, and since I was on the road doing fun quilty things, I didn't get to sew along on the first day of the Farm Girl Vintage Sew Along. But I'm home now and with the wonderful rainy weather, I got the chance to do a little sewing. 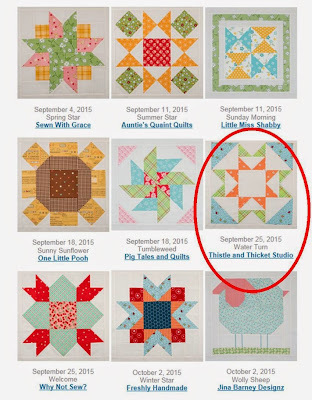 First block up is the first block in Lori Holt's book "Farm Girl Vintage" - the Apron Strings block. 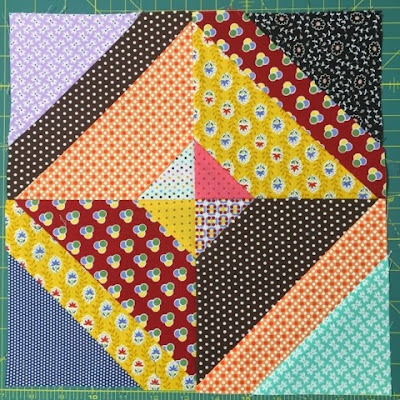 This is a wonderful scrappy block and easy as pie! 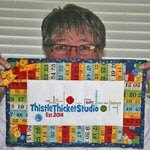 I'm making the 12" blocks for a nice big quilt, but you can also make 6" blocks for a throw-size quilt. Want to join me in the fun? Then hop on over to Lori's blog (Bee in My Bonnet) for all the details. 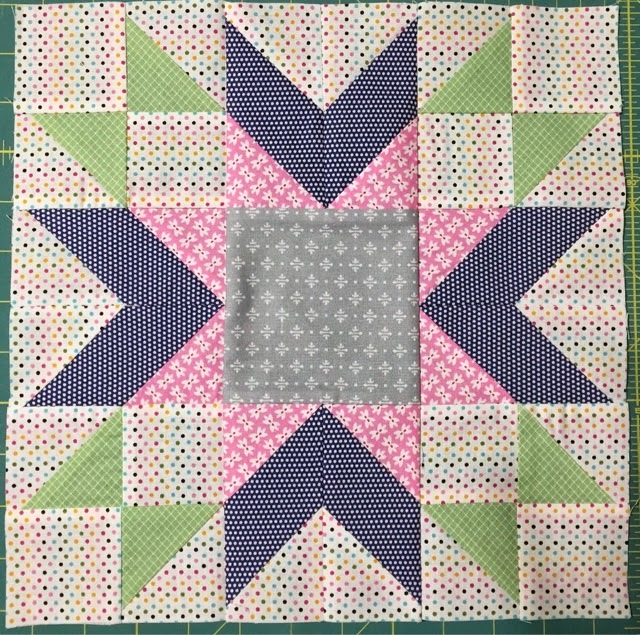 Can't wait to start sewing on the next block!